Ufone brings a unique facility for its valued customers of Pakistan with the name of “Ufone Utunes”. Now customers can add favorite song on his/her ringtone and express your gesture with yours someone special after subscription. This is such a phenomenal facility has launched from this telecommunication side for its valued consumers all over in Pakistan. This is something special and unique thing has launched from this network side from now you can tell others your favorite music track and which kind of music track you like to listen. This is really good and your friends who call you will also enjoy after listening song. This facility popularity is increasing very promptly and there are the lot of subscribers who connected with this network service is attracting to get that exceptional service of this telecommunication. This service is available all subscribers of this network and if someone really loves any sound track and want to share with your friends and special person so this is best chance just choose your favorite music track and express your feelings through music with yours friends and loved ones. It provides countless songs options and consumers can easily choose any Hollywood, Bollywood and Lollywood track by availing this service. The subscription charges are very low and customers can easily afford to avail Utunes UFONE service on daily basis. This is really an efficient all the subscribers who are in love and want to share thoughts with his/her loved ones so now you need to activate that wonderful facility and UFONE will sing a song for you while someone calls you. Subscribers can activate this facility by using UFONE Utunes codes. It has categorized all tracks by multiple codes options and consumers can select favorite song code to activate this service. This facility is available all over in Pakistan and all the subscribers can enjoy an amazing service via using this feature. Now that is correct time to show which your favorite song is and convey your message by choosing music track facility and give your gesture how much he/she special in your life, this is time to dedicate a song. Customers can activate this feature through SMS just write SMS “Sub” and send into 666. Follow the instructions of help-center after sending SMS. Consumers can also get this feature via dialing *666# and follow the instruction of help-center. Users can also get help to activate this feature from nearest franchise of UFONE. Subscribers need to write SMS “Utune Code” and send to 666. Users can get latest music track codes via ufone.com:8088. The daily charges will be deducted from user account of RS 1.30 plus tax per day. There are no charges for subscription through SMS. IVR dialing charges are RS 2.5 plus tax per minute. To send gift just write SMS “Gift<space>UTune Code<Friend’s Number>” and send to 666. Receiver should be subscriber of UTunes. The send gift charges are RS 5 plus tax per gift. Customers can UN-subscribe this service through SMS just write “UNSUB” and send to 666. There are no charges for the de-activation. 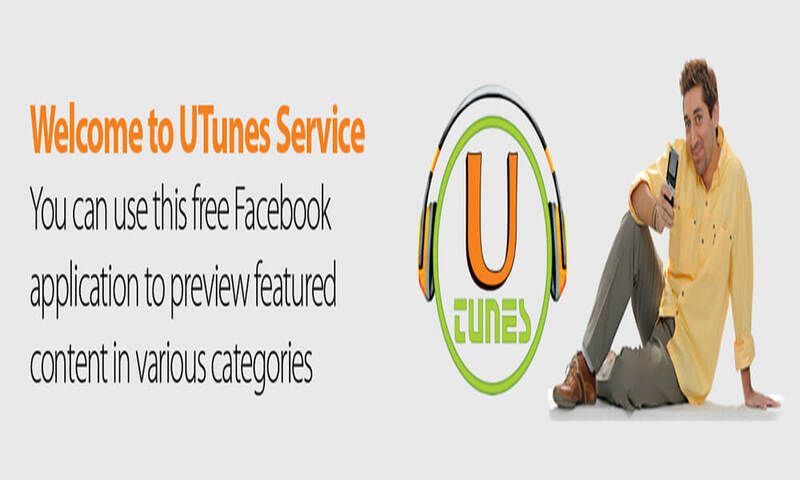 Customers can also modify and select Utunes and Mytunes by using free facebook application. After download submit your valid number. You will receive five digit codes on your Sim card. Write correct code and your account will be registered. The standard Utunes and Mytunes content download charges will be applicable. This telecommunication reserves right to deactivate this service at anytime without being informed of its customers. The charges and incentives can be changed at anytime without any notification.